March 10, 2010 by Aaron Kr. 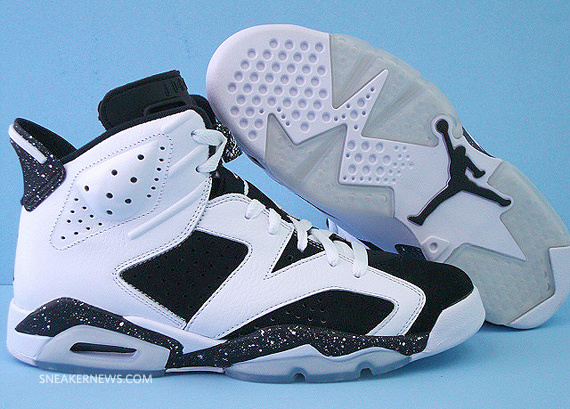 An apple a day keeps the doctor away, but a Jordan VI a month keeps you scavenging for pennies. We understand it might be tough for your wallet to keep up with the releases, but sometimes you can’t resist. 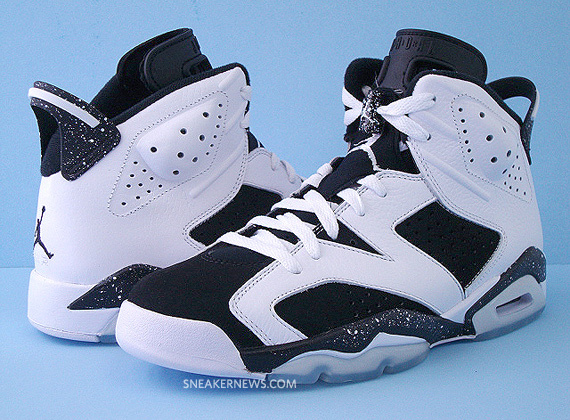 The Air Jordan VI (6) Oreo features white speckling on black sections of the shoe, like the midsole, heel “spoiler” and lace-lock. Speckling is a sure-fire first for the Air Jordan VI, which is why this pair is one of the most anticipated of the 2010, already held in a strangehold by the Jordan VI. Can’t wait? Grab a pair early from shaolin8 on eBay.